You must take care of the design of your WordPress blog for which you need to choose the best theme. In the previous days of blogging most of the bloggers use the free theme and after some time they change the theme to give an attractive look to their blog. When You switch to WordPress then you will be needed to use any WordPress theme which may be the free theme or paid. But in most of the cases, there is a possibility that you wish to change your theme. With WordPress, you can have command over design and content of your blog individually. Installing a new theme brings many things to do with it. 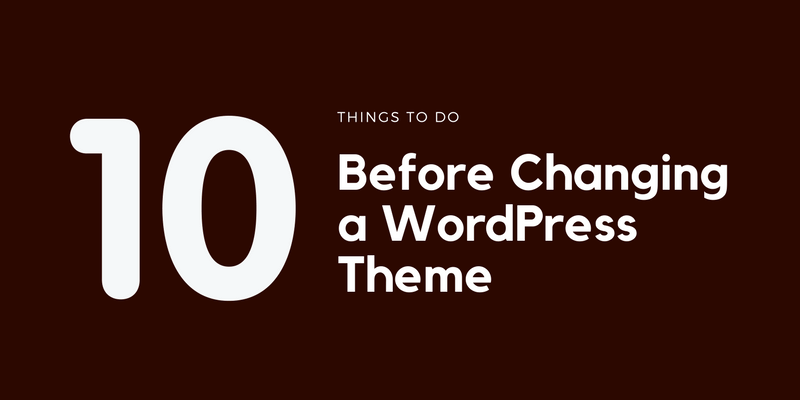 You must know the things to do before changing your WordPress theme. There are many essential steps you must follow when you wish to change your WordPress theme. In this post. you will learn what are the steps required when you think to do this change in your blog. Keep Some Notes :- When you have a theme installed on your WordPress blog then there are many changes you should do with it. You put some relevant code on the header of your theme or may be in the functions.php file. You add some extra codes in some files of the theme. And I don’t think you even remember all those codes. Once you use any code then after some days you forget it. When you want to have any new WordPress theme to your blog then you must make some notes of all the changes you have made with your current theme so that you can put the same codes into your new theme. Backup Is Required :- You know no one is perfect and mistakes can be made by anyone. While changing any theme you may never know what mistakes you are going to do so to be safe from it, you must create the backup of your website. You should backup all the files of your current theme, plugins, and database. 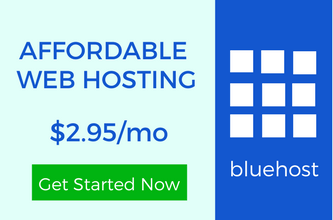 You can do it using BackupBuddy or use your cPanel. Keep Safe Your Tracking :- You all use any code to put in the header of your theme for the analytics of your website by which you can have the total stats of your website by Google Analytics. If you don’t want to lose your tracking then you must save that code so that you can place it in your new WordPress theme. Have A Maintenance Mode :- When you change your WordPress theme your visitors will see a broken site and if you don’t want to look your site in this way then you must use Ultimate Maintenance Mode plugin so that when your visitors visit your website then they when you see a maintenance mode with the message which will make them aware that you are doing some change with your website. Keep An Eye On Your RSS Feeds :- Most of the bloggers use FeedBurner to create an RSS feed for their website. You must remember only one important thing that you should direct your feed to Feedburner so that you don’t face any problem of having two RSS feeds. It is because in some themes like Genesis FeedBurner can be integrated from their settings. Sidebars Should Be Compatible :- When You decide to change your WordPress theme then you must take a look at the sidebars of your new theme. Sidebar widgets play a great role in the design of a website and you must check that your new theme is widget ready. And if you have done any change in your current theme in sidebars then you should save it to place at new sidebar.php file. You must know that sidebars are the key feature of any theme because we place ads, product to sell mostly in the sidebar widgets. It’s necessary to check the compatibility of these amazing design in your new theme. Don’t Forget About Browser’s Choice :- You all are aware of the availability of many browsers nowadays. It’s one of the main steps you must follow before changing your theme. There are many themes which don’t look good in some particular browser. Especially Internet Explorer. You must check the appearance of your website when you change the theme in all the browsers and if you find that theme inappropriate in any browser then you shouldn’t choose it. You must check it in Internet Explorer, Google Chrome, Firefox, Safari and else. Compare Your Site Loading Time :- When you change your WordPress theme you must compare the website loading time of your old theme to your new theme. After the installation of the new theme, you must check the page loading time and speed of the website by visiting GTmetrix.com. Make sure that size of your homepage must be less. Suppose you have installed your new theme and found that size of your website homepage is much higher than your previous theme then it would not be a good idea to choose that theme. Always try to find a theme which can enhance you better speed with amazing loading time so that you can have the quality of speed. Bounce Rate Is Also The main Factor :- You have read many things to do before changing your WordPress theme but have you ever thought that when you change the theme bounce rate can also be affected? It’s necessary to check it after installing your new WordPress theme that your bounce rate is still the same or lower. If it has increased then you must try to lower it by adding related posts widgets, popular posts widgets and more. Don’t Be In Hurry :- Baby steps are required when you change your WordPress theme. New things are always challenging for which you should go step by step. While changing our theme you must check all the necessary things required and don’t be in the hurry because there are more chances of making mistakes in this processes. Listen to your readers if they give any suggestions. It’s always beneficial for you to design your website according to your visitor view. In this post, all the main fields which should be checked before changing any theme are mentioned. When you wish to change your WordPress theme you must take care of all the necessary things so that you don’t face any problem in the future. There are many things to do before changing your WordPress theme which you must know and with this idea I have written this post. Now it’s up to you. Have you made your notes? Is your new theme better than the previous one? Is bounce rate same or higher? 15 Notes To Enjoy Blogging And Taste The Sweetness of The Success. How To Add Aside Post Format In WordPress? Great post Ravi – I’ve been thinking of changing mine for some time but have been afraid of what can happen. If it’s not broke why fix it? This post will be saved for me though so I can refer to your great checklist of what to do before making the change. Thanks! I don’t think you need to change your theme. It looks really good but still you wish to change then may be this post will help you. Hi Ravi, Great article filled with reminders of things I would have forgotten to do when changing my theme. You’re right, I have added quite a bit of code to my blog and I don’t want to lose that when I change themes. I will have to change themes, probably sooner than later. I have Thesis 1.8.5 and it’s not being upgraded any more. I like it because it’s so easy to change fonts, add code, change the header image, etc. but it’s bound to break sooner rather than later the way WordPress is being updated. The more articles we’ve published on our blogs the more risk we take in changing themes. I bought a theme once that had a main body width of only 600. My PollDaddy polls are 610 so that theme didn’t work. Very sad. When I do change themes, I will definitely keep this article in mind to avoid future mistakes! In thesis it’s easy to do any change according to our own wish. I am using thesis 2.1 and hopefully learn more about it. I have also added some codes but if ever think to change my theme then I have to save them. What an amazing detailed check list for anyone changing themes. I have a person who supports me with the technical side of my blog. I have Thesis and had it from day one but have not even upgraded it myself. This is an awesome resource for anyone making a change. I am also using Thesis but in my initial days I was using another themes and made many mistakes. It’s important to save the changes we all do in our current theme. Changing a theme can result in a positive outlook if its look and user interface gets much better. Also the fonts styles can also play an important role in it. One has to keep everything in mind before choosing a new theme, from theme color and content, to the columns you want to highlight. Bloggers try to search any good theme which can suit their blog. While changing the theme we all need to keep in mind about the change of codes we do. Oh my goodness, I would have never thought about any of this. Of course I haven’t changed my theme in years now and really don’t want to mainly because I like it and am familiar with it. I could just install a skin to make the entire thing look different but I would seriously have never even given any of this much thought. I would have just changed it over the weekend knowing that I would have to spend time fixing things but this is a great list to follow. Thank you so much. You definitely opened my eyes. You know in the starting phase of blogging beginners don’t have potential to choose good theme. After sometime they think to change their theme but they forget to do some necessary things which can effect their blog. It is required to make a list before changing the theme of a blog. Good Tips you have here. I would recommend creating a sub-domain and then configuring the theme there. 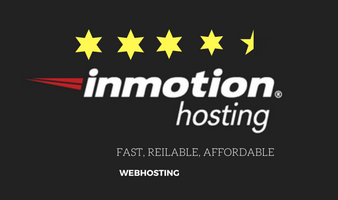 And when you are ready with the theme just copy it from the sub-domain to the real one through Cpanel. With this you would not have to put up that maintenance note. What’s do you say about it? And one more thing, When I tried to submit my comment I was getting that offline cloudflare error. Do check what’s wrong. You have shared nice tip to have a sub-domain but there are many bloggers who are using their web hosting only for single domain so it’s not possible for them. They can do one thing for sure. Bloggers can have a test website, it may be online or offline using Xampp. 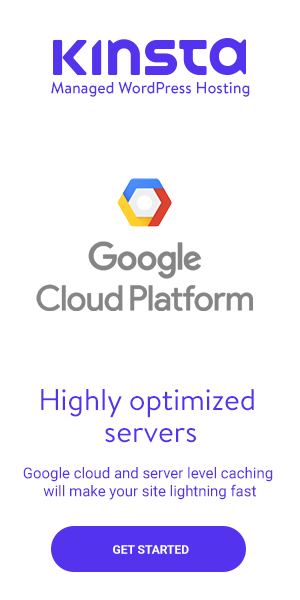 The error may be due some cloudflare issues. Let me check it. Changing blog theme is a tedious task but a requirement at times. Currently I am using a free responsive theme which is working well, however, I am planning to install a new theme in some time. Off course it takes a lot of time to adjust a theme for our blog but the main problem is to choose the right one. Bloggers must make some notes before changing their theme. You may try any other theme which are free to use. There are many WordPress themes. You know people face a lot of problems while changing their theme because they forget to follow some key points. Many new things I got here in my checklist to change my WP theme. Nowadays I am seriously thinking to make a change at one of my blogs. Browser compatibility is most important. Sometimes without any change we see a big slash in our traffic. Before going for any drastic measures one must check if his site is being displayed in all browsers. Sometimes it opens wonderfully in Chrome but show cracks in Mozilla. There are many things to do before changing the theme of your blog. Yeah! many themes don’t look good in Internet Explorer but look good in any other browser. Its very important to check the compatibility for the browser. You should keep your notes for the codes you have added in your earlier theme. By the way, Thanks for the great read Ravi.